LoveIsMyReligion is an Antwerp, Belgium-based clothing brand that holds the terms 'inspirational', 'ecological' and 'fairwear' as key for our existence. 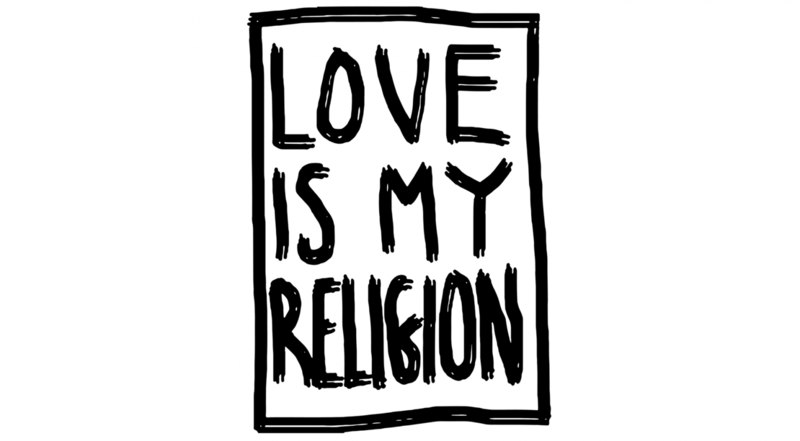 Created as a platform for collaborations with artists around our theme 'Love Is My Religion', we aim to raise awareness for a positive, tolerant and creative attitude. We aim to be a visual forum for any new and refreshing idea or mindset that deserves attention and holds power to turn the world into a better place. While our exclusive wearable collection is the main outlet of these creative ventures, the Love Is My Religion - website also introduces the oeuvre and inspirations of our featured artists in short video portraits. The exclusive ‘Love Is My Religion’ – designs are printed on 100% sustainable and ecological shirts, tops and sweaters (organic cotton/recycled polyester), all high-quality prints with water-based ink. More than just a fashionable word, ‘Fairwear’ for us is a key aspect to our production process. We don’t bargain. We don’t do ‘cheap’. We make high quality shirts with lots of love. ‘No animals (including mankind) were harmed’ while creating your Love Is My Religion - product. Our featured Belgian artist, Sammy Slabbinck: an up-up-update! We can say with pride, since we were lucky or (hey, maybe even) insightful enough to ask Belgian collage artist Sammy Slabbinck to design for us before he hit the big-time, that Sammy is getting the worldwide recognition he deserves! It seems his surrealistic collage style, which certainly has roots in traditional Belgian surrealism and magic realism, is becoming a coveted style by big bands, big brands and great artists. 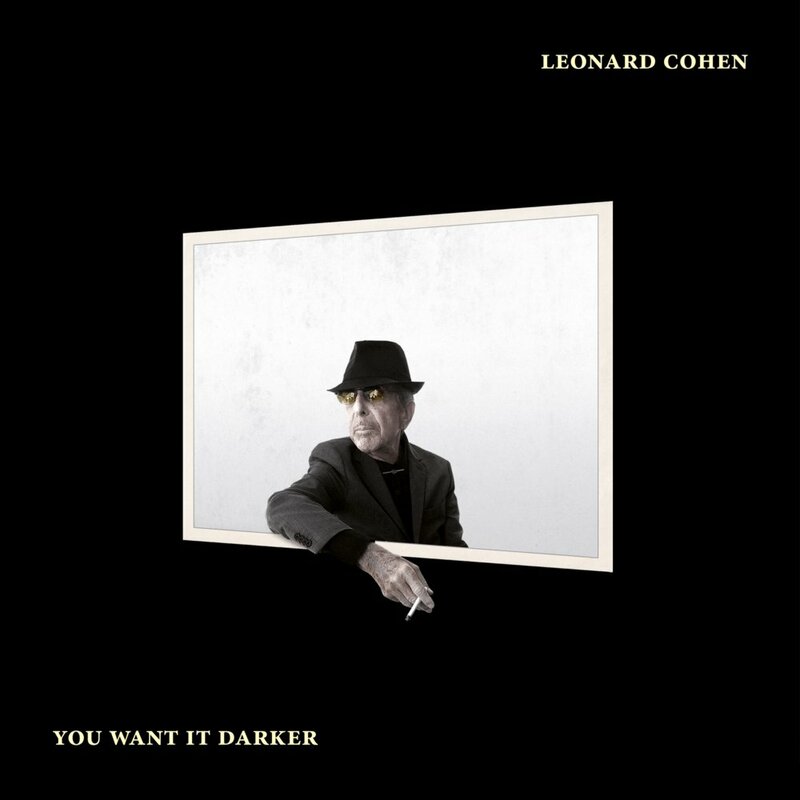 After a stint with Coldplay basing their last videoclip ‘Up & Up’ on his work (but failing to give the appropriate credit to Sammy), and creating an animation video for Gucci and their new shoe line, he now also has created the album cover for Leonard Cohen’s ‘You want it darker’. This was made possible with credit to Instagram, which allows for an artist’s work to be picked up by anyone around the world. In this case by Cohen’s son, who was so intrigued by Sammy’s work, he then asked the artist for this notable honour. The cover shows Cohen with cigarette in hand, staring into cubic space. Simplicity that conveys the style of Cohen – unique style and raw authenticity that he maintained to the end of his life – merged with Sammy’s playful treatment of geometric shapes. and we wish Sammy Slabbinck many more successes along his surrealistic path!